Ronnie Spector has reached out to her incarcerated ex-husband, Phil Spector, while he serves his time behind bars, revealing she has written to the music mogul but has not had a response. The embattled star is currently serving 19 years to life in prison following his May, 2009 conviction for the fatal shooting of actress Lana Clarkson at his Alhambra, California home in 2003. The former Ronettes star, who was married to the famed producer between 1968 and 1974, admits she was upset by his conviction and wishes him the best as he serves his time. 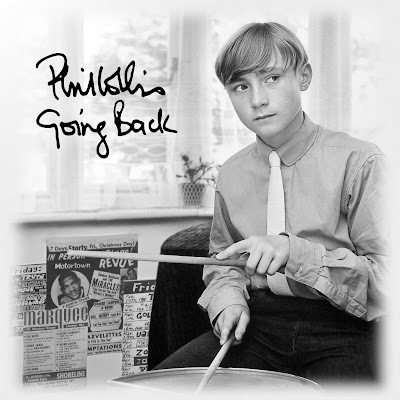 Phil Collins Comes back Strong With "Going Back"
Atlantic recording artist Phil Collins has announced the U.S. release of his hugely anticipated new album, “GOING BACK.” The legendary artist’s first full-length solo work in eight years arrives in stores and at all digital retailers on Tuesday, September 28th. “GOING BACK” is a deeply personal labor of love that finds the eight-time Grammy winner faithfully recreating the Motown and soul music that played such an influential role in his creative life. The album – Collins’ eighth solo studio recording – will be available in a number of digital and physical editions, with exclusive extras including 7 bonus tracks, a 90-minute DVD making-of documentary, and limited edition lyric sheet lithograph. In addition, a very special “Singles Box” comprising 30 tracks across 15 vinyl 7” singles is also on offer – for complete details, please visit www.philcollins.com/us. “GOING BACK” has quickly proven a worldwide phenomenon, receiving platinum certification in Germany and gold certification in both France and the United Kingdom after little more than one week in release. The album hit #1 in the UK this week as well as in Belgium and the Netherlands. “GOING BACK” has seen top 3 sales in Germany, France, Austria, and New Zealand, as well as top 5 successes in Switzerland and Italy. Collins will celebrate the release of “GOING BACK” with a number of high-profile TV appearances and radio interviews, including NBC’s Today show on Tuesday, September 28th, and Headline News’ The Joy Behar Show on Wednesday, September 29th. In addition, he will take part in a very special installment of WNYC radio’s Soundcheck, airing live from The Green Space in New York City on Tuesday, September 28th at 2PM ET. Phil also recently joined host Michael Kay for an in-depth conversation on the YES Network’s Centerstage. Earlier this summer, Collins heralded “GOING BACK” with a series of seven intimate, SRO shows – including a 3-night stand at NYC’s Roseland Ballroom. One of the shows was filmed for a concert special entitled “Phil Collins ‘Going Back’ Motown Special Live from Roseland” that is currently airing on Comcast’s ON DEMAND network through October 31st. On stage, Phil brought his homage to life with a big band anchored by three members of Motown’s legendary Funk Brothers studio team – bassist Bob Babbitt and guitarists Eddie Willis and Ray Monette – who are also featured on the album. The live band also included long-time Collins cohorts Chester Thompson (drums), Daryl Stuermer (guitar), and Brad Cole (keyboards), plus Leslie Smith (percussion). Rounding out the ensemble was a five-member horn section and six backing vocalists. 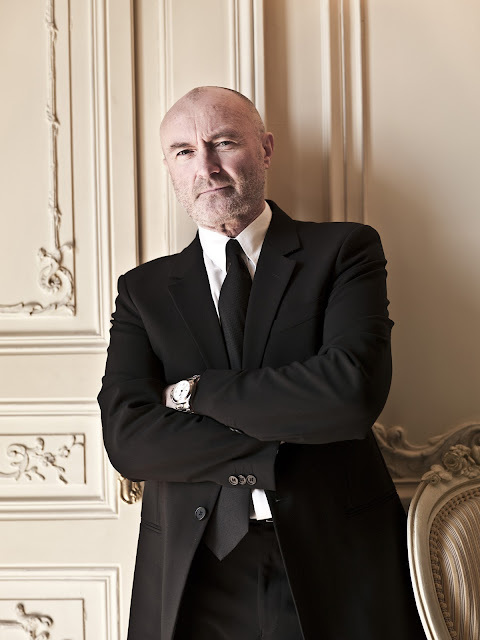 The career of Phil Collins is one that, by any measure, stands among the most creative, prolific, and impressive in the history of modern music. It is a career that really has been many careers – musician, singer, composer, producer, actor – from art rock beginnings to pop stardom, from big band leader to film soundtracks and Broadway. It has been an exceptional musical life spanning four decades, some 100 million solo albums sold (250 million if you count his work with Genesis), an extraordinary string of hits, eight Grammy Awards, an Oscar, two Golden Globes, five BRIT Awards, numerous industry accolades, and, above all, an inestimable influence on countless fellow artists and passionate fans around the globe.